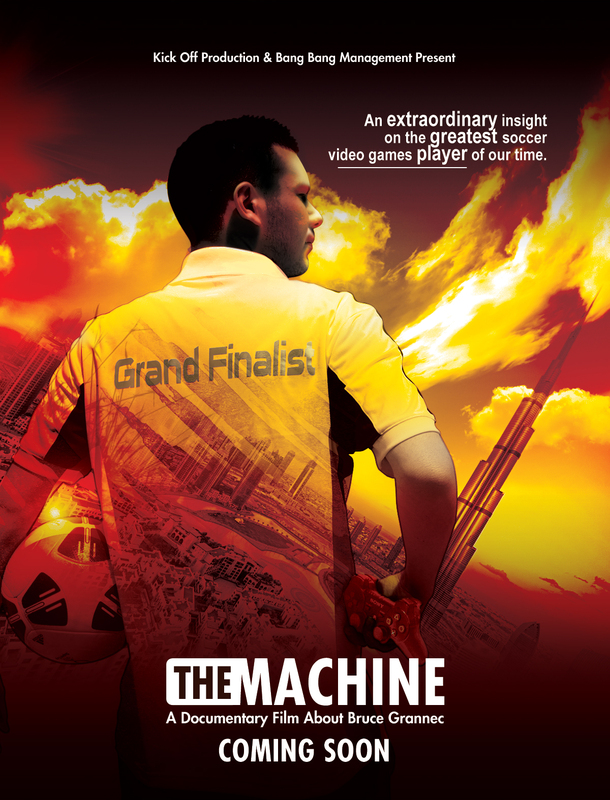 As we recently interviewed, Bruce Grannec, also known as The Machine, the best player in the world of football video games. An exclusive documentary film recounts his story in the recent world cup organized jointly by the FIFA and EA SPORTS in Dubai in May and as promised we Bruce’s first 1 minute extract from the forthcoming release available on 3rd February. Bruce Grannec, 25 years old, is a professional virtual player. He is today the only one who has been crowned world champion both on FIFA and PES. He has participated in three FIFA Interactive World Cup finals and hit the podium each time. He was world champion in 2009, finished third in 2010 and second this year in Dubai. A regularity never seen before. A team of reporters had the opportunity to follow Bruce Grannec in Dubai to get an insight into his personality and observe the preparation of the man who is regarded as the best player of the world. This resulted in a documentary film compiling interviews of Bruce, his relatives as well as his opponents. The title of the documentary, « The Machine », refers to Bruce’s nickname that comes from his ability to never show any emotion to his opponents.